In the world of mascot platforming franchises, everyone knows the heavy hitters like Mario, Sonic, and Crash Bandicoot. Bubsy isn't nearly as well-known as those mainstays, and his last game released in 1996. However, for some inexplicable reason, this dormant hero has emerged from his 21-year hiatus. Bubsy: The Woolies Strikes Back attempts to deliver a retro experience, but the adventure underwhelms and frustrates from start to finish, and left me wishing the franchise would have stayed buried. Much like the original games, The Woolies Strike Back is a 2D platformer starring the titular anthropomorphic bobcat. Though it has vibrant colors and a shiny coat of paint, the gameplay feels very much trapped in the '90s. Nostalgia-charged homages are fine, but that mission statement isn't a free pass for bad design. The platforming is functional, but Bubsy's basic moveset never grows beyond jumping and gliding, and his sole attack is an unreliable pounce that hurtles him forward. That means you're better off avoiding enemies or jumping on their heads rather than risk pouncing. A small number of unique enemies are awkwardly placed throughout the vacuous platforming segments, and with seemingly inconsistent hitboxes and a one-hit KO (unless you have the black t-shirt power-up), encounters with these mindless enemies often becomes needlessly frustrating. 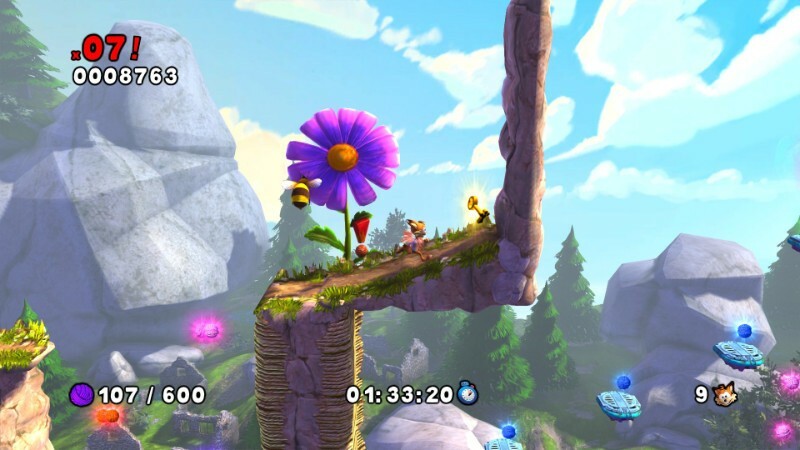 The 11 platforming stages increase in difficulty as you go, but they aren't memorable or distinct. Though the backdrops change as you progress, the enemy types rarely do, and the design conventions remain the same. Each stage is a smattering of forgettable segments featuring raising and lowering platforms and an occasional block to break with Bubsy's pounce attack. 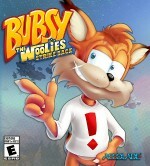 Everything about Bubsy: The Woolies Strike Back has been done better elsewhere and long ago. Scattered throughout the map are standalone boss fights, which initially do a good job of shaking up the action. 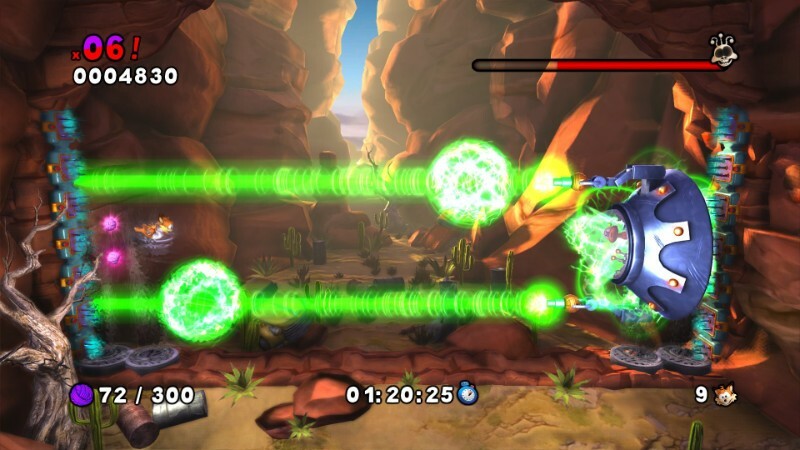 However, these giant UFOs are essentially copied and pasted from the encounter before it; the only differences lie in added attacks and a few new stage elements in the arena. These encounters seem like a refreshing change of pace at first, but the attack patterns go on for so long that they end up a tedious exercise in patience as you wait for the window to attack the glass dome weak point. 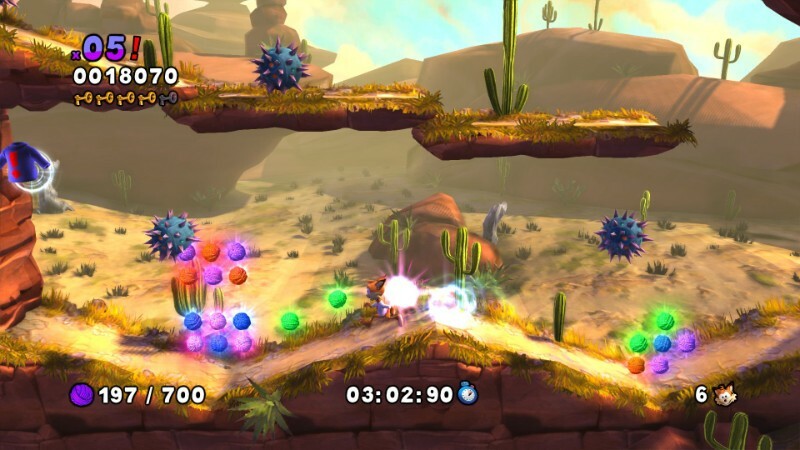 Once you push through the Bubsy's meager offerings, the only replay value lies in returning to stages to collect the thousands upon thousands of wool balls scattered throughout the worlds, as well as a few t-shirts in each stage. This only further accentuates the uninspired design of these stages, as you are forced to examine the levels under a microscope (and they do not get more entertaining upon closer inspection). The archaic limited-lives approach doesn't hinder the game when you're simply playing through it, but it's a recipe for frustration if you run out of lives during this, causing you to lose all progress on your collection for that level. 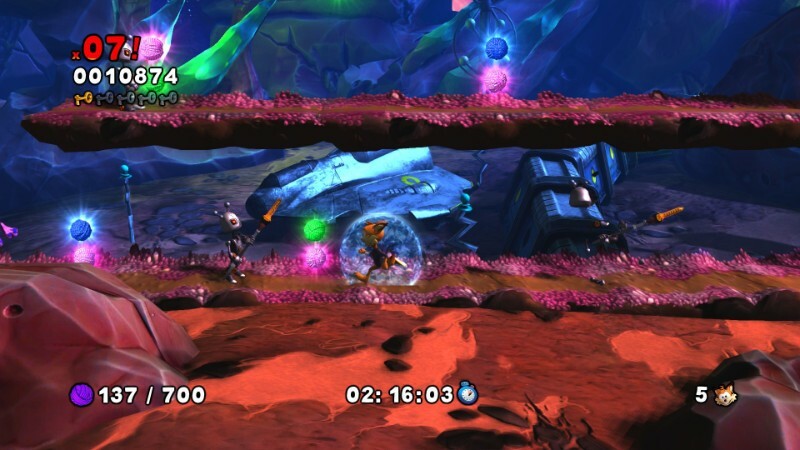 Bubsy: The Woolies Strike Back underwhelms and disappoints at every turn. Bland level design never improves, and tedious boss battles are unrewarding and unsatisfying. Bubsy's return 21 years later could have reminded us why he was once considered a potential peer to the likes of Mario and Sonic. Instead, The Woolies Strike Back only serves to remind us why the mascot hasn't seen a new adventure in over two decades. Bubsy: The Woolies Strikes Back attempts to deliver a retro experience, but the adventure underwhelms and frustrates from start to finish, and left me wishing the franchise would have stayed buried.